Sooo this time of the month again, right? Join us for our monthly piece on the blog where we distill, analyze, discover and pick the best news in the industry so you stay up to date and keep creating exceptional content for your team. Last March offered us many things to speak about – new tools, platforms, major updates and a couple of exciting events happening in the agency space. Just relax, get a cup of coffee and let us know if we missed anything important by tweeting at @PlanableApp. It’s no wonder that the recent privacy scandal has shaken the user’s faith in Facebook, Twitter, Instagram and many other platforms that changed the way they use social media. However, Basement comes with a new approach to give users a new and simpler social network. It allows you to add only up to 20 friends on the network. There are no influencers or filters. The hope is that users share with the people they actually want to share with. Fernando Rojo and Jeremy Berman said they built this out of their own need as their own friend groups migrated most of their communication to messenger apps. I believe that Telegram was the social media star network of the previous month with many important news and updates. After it got more than 3 million new users after the recent Facebook’s worse downtime ever, Telegram has introduced a new important feature. It allows users to completely control any private conversation they have ever had. With “unsend” you can now delete messages you’ve sent or received from both sides in any chat. The message will disappear from both leaving absolutely no trace. And if you care about privacy, Telegram is right for you. The company never uses data to target ads, never discloses private data to 3rd parties and store only required data for the app to work. Since being acquired by Microsoft the company is working hard on implementing many new & major updates that have been in the backlog for a very long time. Linkedin introduced three new ways to help you easily target more and better to the right audience – lookalike audiences, audience templates and the addition of Bing search data to the recently released targeting product. It’s designed to increase and scale your marketing efforts. If you’re using or thinking about using LinkedIn ads, it’s definitely worth a look – you can download the full ‘Targeting on LinkedIn’ guide here. Also, Adobe and Microsoft are aligning key data sources to populate account-based profiles in Adobe Experience Cloud, including Marketo Engage and Microsoft Dynamics 365 for Sales.” The move is set to “empower B2B marketers and sellers to easily identify, understand and engage B2B customer buying teams.” as says WeRSM. If you’re using or even remember MySpace, the social network everyone used before Facebook, they just went into a huge PR crisis. Why? Because they accidentally lost most of its content uploaded on the platform, such as images, videos, and around 50 million songs from 14 million artists. Myspace itself blames the massive data loss on a faulty server migration. Currently, Reddit is testing out a new tipping feature where users can give each other REAL money. Well so far only to one guy – let’s find out who’s the lucky one? The chose user is u/shittymorph who tends to leave well-written comments on Reddit with tons of insights and helps you understand how great Reddit is. Reddit already helps users to gold comments by gifting another user a premium member and tipping would allow users to exchange real money directly. WhatsApp Business is designed to allow businesses to communicate with their customers easier. It allows to reply directly to the customers and also includes features tailored to businesses, such as away messages, greeting messages, and the ability to list info such as opening times and addresses. The app is free for businesses to download and use and it is now being rolled out to IOS. Yay! Twitter Stories from the #Twttr beta have landed on the web. It seems like Twitter follows the path of a Snapchatty like feature as it’s a limited prototype testing out the new conversation views. I believe it might highly encourage users to be more active on the platform and brands will have one more channel to distribute their digital storytelling directly from their mobile devices. #SeeHer is an initiative that aims to create a more accurate portrayal of women in the media. The goal is to see a 20-plus percent increase in the accurate portrayal of women and girls in ads by 2020, the 100th anniversary of women gaining the right to vote in the U.S.
Budweiser is reprinting three of its 1950s ads today that portrayed women as little more than dutiful housewives. But alongside the originals, the brand is running reimagined versions of the same ads featuring a more enlightened message. The brand is recognizing International Women’s Day and shares an important message for marketers worldwide by promoting it’s a partnership with #SeeHer, an industry effort to improve how women are viewed across all advertising verticals. See more here. Ridley Scott is back in the game – after 15 years away from advertising the 81-year old director makes a comeback. The director has made some of the most famous ads in the world. On Monday, a remarkable short film he made for Hennesy, the spirits brand, rolled out online. It’s a four-minute piece, created by DDB Paris intended to visualize the “Odyssey” of sipping Hennessy X.O. It does so by building seven surreal, visually mesmerizing worlds for each of the cognac’s seven tasting notes. The results are alluring, strange, grand and at times otherworldly. We highly recommend watching the whole video here. Publicis Media has brought together Blue 449 and Spark Foundry into one single epicenter to create a globally unified network with Chris Boothe in the lead the new global entity. 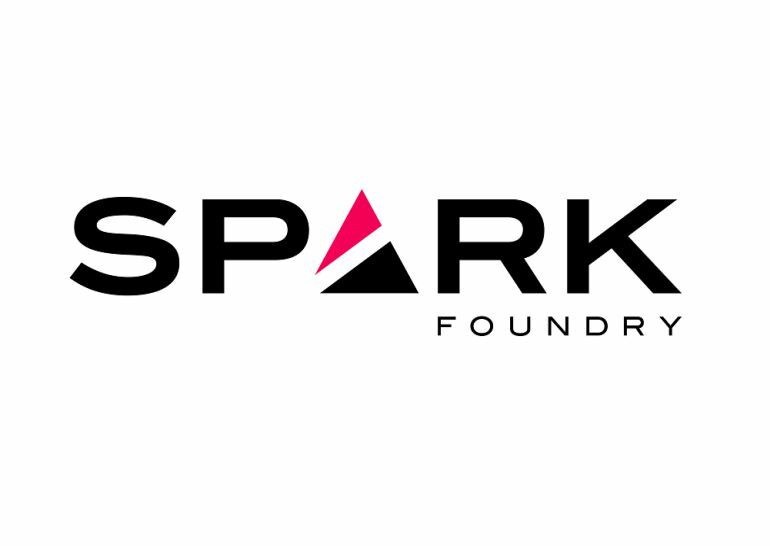 Blue 449 will focus on domestic clients, with Spark Foundry serving global accounts. Steve King, chief executive of Publicis Media, said in a statement: “As a brand-led organization, we are committed to our strong agency brands as transformation partners for clients. The merged unit will have stronger ties in Australia, Canada, China, Germany, India, Italy, MENA, Mexico, Poland, Russia, Singapore, and Spain, among other markets. Last Month, Etihad Airways has selected an independent agency Crossmedia as its global agency of record. It will take over the global account across all brands, including Holidays and Guests with a marketing spend of $30 million in Abu Dhabi and estimated to $80 million worldwide. Crossmedia said its “fresh approach to data-driven planning and execution” and “rigorous approach to operational transparency” won the agency the account. McDonald’s aims to personalize Drive Thru experience with $300m Dynamic Yield acquisition (via TheDrum). The fast-food giant has bought personalization platform Dynamic Yield to inject real-time decision making into outdoor digital Drive Thru menus so they can display and suggest menu items based on weather, time of day, restaurant traffic and customers’ current selections. McDonald’s will roll out the technology in all US locations this year and then expand into “other top international markets”. McDonald’s will also integrate the tech into its other digital touchpoints, like its app and self-order kiosks. Dove has recently partnered up with Getty Images, Girlgaze and women around the world in a brilliant campaign that stems from the insight that 70% of women globally do not feel represented in everyday images and aims to break the glass by showing real women. The project includes 5,000 images featuring women from 39 countries to dispel the unrealistic ideals of beauty, femininity in all its shapes, ethnicities and perfect imperfections in the photo library. So that’s it for this month, see you next time!